I had a couple of Mug Trees in the house which were not being used and had been put away on the top of the kitchen cupboards. I wanted to make use of them and after researching on the internet came up with a few ideas that I thought I would share with my readers. 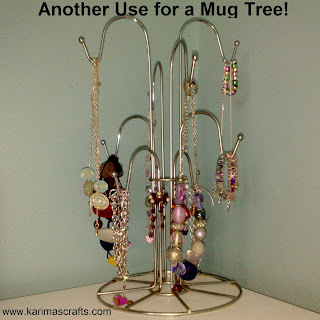 The metal Mug Tree looks lovely in my daughters' room - she uses it for both her hair accessories and some of her jewellery. 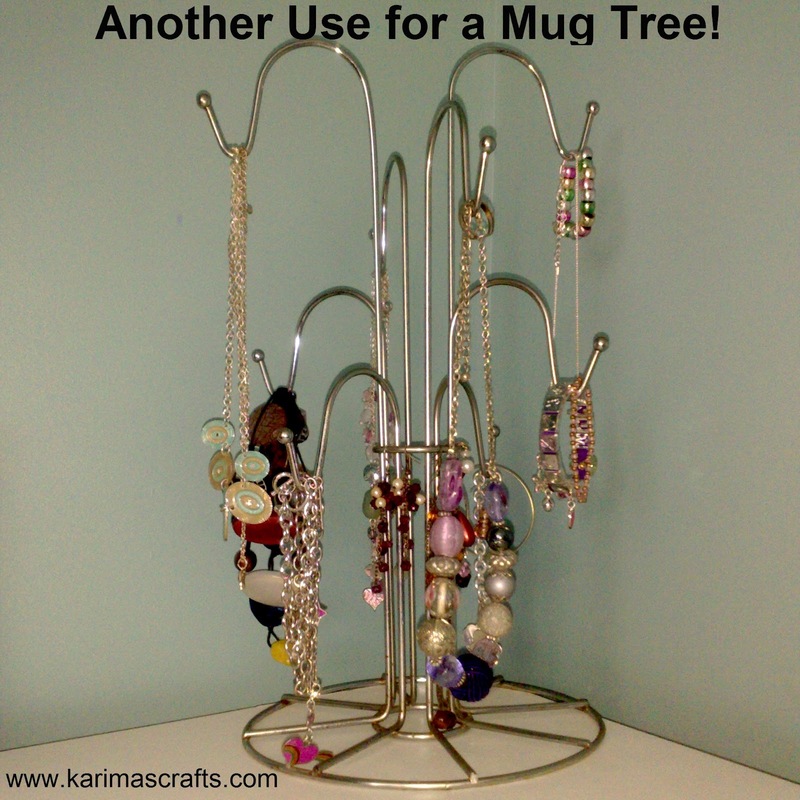 Do any of my readers have any mug trees that they use for other things? I feel ill karima! 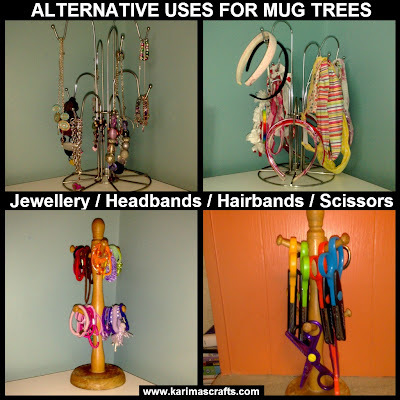 I had three wooden mug trees which I gave away because the cups would fall off easily. Now I see what I could of done with them. Wonderful ideas though mashaAllah! Oh No! That always happens - when you dispose of something - you find you need it later! Would love to see you use this idea to hang all your lovely creations! MashaAllah wonderful idea. I have one mug tree but it's used hehe. Don't have a lot. Keep up the great ideas. 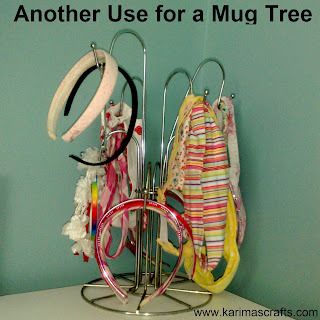 Well if you change your mug tree - you now know what to do with your original one! Glad you like the idea - You can find many of these quite cheap - you can even paint/spray paint them to colours to suit the decor! Now I know what to do with my mugs trees, you inspired me. I wanted to let you know how much I appreciated you letting me know you liked my two toned charmer, it meant a lot! Thank you for your sweet comments - I too love recieving comments - it makes my day! I am so doing this with my girls this summer. Love it! I actually threw 2 mug trees out last year. Oh No - You can get them fairly cheap - and if you are doing this with your girls I would definately recommend letting them decorate the mug tree too! 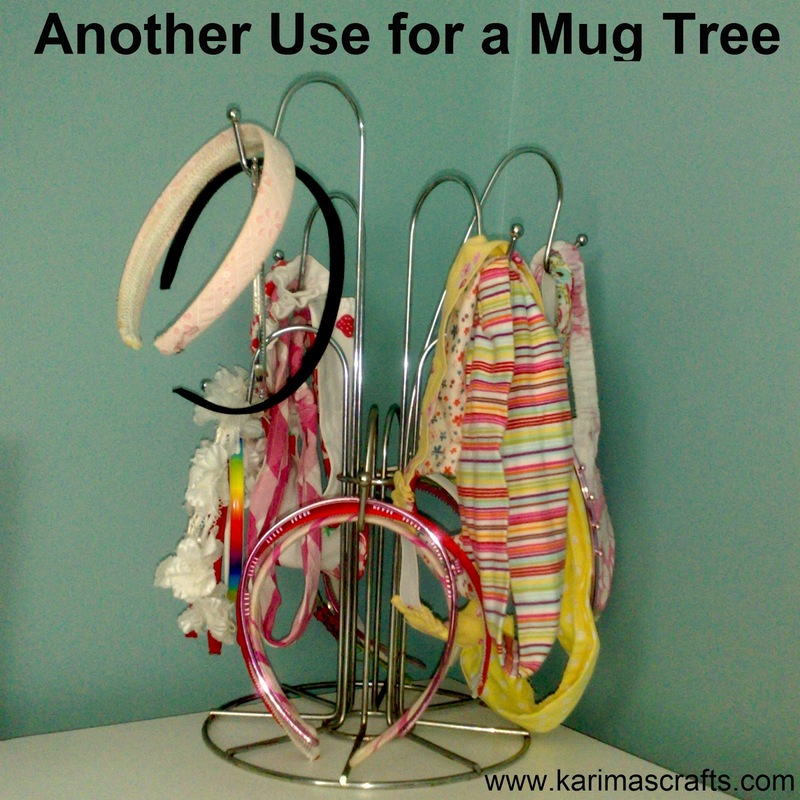 I guess there must be even more other ways to use these mug trees! These are all great ideas. 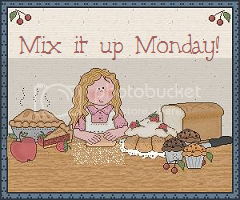 Thanks for sharing on the Creative Corner Hop. Thanks Jillian for your sweet comment. Thank you for popping over and leaving a comment - much appreciated. You are so creative! Love the idea of corraling those scissors that wander off in our house! 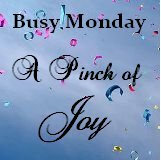 Thanks for sharing on Busy Monday. Thank you for your comments - Yes many things wander off in my house too haha!